One hundred years ago, on June 13, 1917, German airplanes conducted the first—and most lethal—daytime bombing of London during the First World War. A correspondent for The New York Times witnessed the air raid and wired a detailed account that appeared the next day in the paper under the headline, “German Airmen Kill 97, Hurt 437 in London Raid.” The final toll from the bombings in London, Essex, and Kent was 162 dead, including eighteen children at the Upper North Street School in Poplar, and 432 injured. The Times headline writer added a subhead incorrectly indicating that a German plane had been shot down; in fact, all fourteen of the Gotha twin-engine biplanes returned to their base in Belgium. With a tremendous crash they strike the heart of England. It is a magnificently terrific spectacle seen from midair. Projectiles from hostile batteries are sputtering and exploding beneath and all around us, while below the earth seems rocking and houses are disappearing in craters and conflagrations, in the light of the glaring sun. In a few moments all is over and the squadron turns. One last look at the panic-stricken metropolis and we are off on our home course. the Upper North Street School. 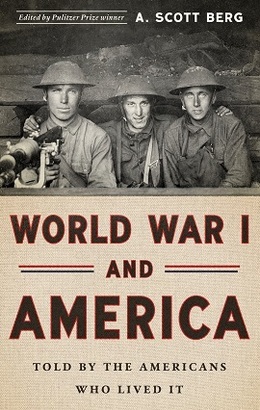 We present the riveting eyewitness account from The New York Times as our Story of the Week selection, which has been reprinted in the Library of America volume World War I and America: Told by the Americans Who Lived It. A. Scott Berg, editor of the volume, offers additional historical context in a brief headnote. Note: The reporter incorrectly identified the planes as Taubes (p. 358), but—as indicated above—they were in fact Gotha G.IVs, with a crew of three and a top speed of 83 mph. The Hendon Aerodrome (p. 359) was an important airfield in London; it was closed in 1968. Archies (p. 362) was a common British term during the war for anti-aircraft guns. LONDON, Thursday, June 14.—There came to London yesterday the nearest vision of modern warfare that it has yet known. . . . If you don't see the full selection below, click here (PDF) or click here (Google Docs) to read it—free!